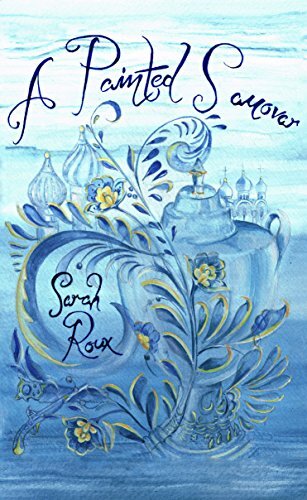 “A Painted Samovar” by Sarah Roux is the moving and epic saga of one man’s involvement in the Manchurian conflict between Russia and Japan and then in WW1 / the Russian Revolution. It is a story of multiple challenges and the will to preserver. The main story is nicely surrounded by scenes in London, 1967, when a former friend arrives at the family home to visit the now deceased Isaac. The story then jumps back to 1905 as Isaac fights against the Japanese. The portrayal of the war scenes and Isaac’s perspective of it is very well-done; the situation of Jews in Tsarist Russia and their culture seems well-researched and authentic and is very fascinating. The narrative jumps to the East End of London in 1912, where – now a cabinet maker – Isaac founds his family. Again, I enjoyed the detailed scene setting and the well-chosen characters. Isaac faces deportation back to Russia which separates him from his family. The rest of the novel is his struggle to return to them. This is a compelling and inspiring read, sometimes harrowing, and historically rich, bringing to my attention yet another lesser known fate, shared by some 4000 people. Knowing that this is inspired by the author’s own family makes the story all the more powerful and captivating. Isaac, a Jewish cabinet maker fleeing his troubles in the Pale of Settlement, arrives in the East End searching for a measure of peace. When he falls in love and marries his employer’s daughter Sophie, he believes he can turn his life around. But with the outbreak of war, his new world begins to unravel. Still traumatised from his younger days in the Tsar’s Army, he is too afraid to fight in the trenches for his adopted country and after months of prevarication he is sent back to Russia in 1917. Cast adrift in the boiling cauldron of revolution, he holds onto the memory of Sophie and their children as he struggles to survive. Travelling through the chaotic landscape with his friend Max, Isaac finds his inner strength and courage in a remarkable set of adventures, as he embarks on his epic journey home. You make it sound marvelous, Christoph. The cover is very appealing too. Thanks for this review. Happy weekend hugs!